There is a very high cost and great demand for the metals and compounds that make up our smartphone. Most of us have very little idea on which metals make up the smartphone because we are all too busy sending texts, playing Pokémon Go, making calls or updating our status on social media to worry about what it’s made of. It is unfortunate that in a world where we all recycle paper, plastic, glass and even garden waste, we hardly ever recycle those precious metals that make up our smartphones. You should never simply chuck away your smartphone once it has ceased to work. A smartphone contains rare materials that are being constantly mined from the ground in countries all over Africa and Asia. There is only so much of these precious metals and once they are gone, they’re gone. What is so frustrating is that smartphones are all too easily recycled. So, why are we not doing it more? 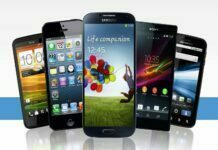 In order to recycle your old smartphone you need simply log onto to any one of the hundreds of firms which operate in your country and tell them the model you have. They will instantly reply online through email or registered message the value of your phone in its recycled state. You will be surprised how much you can get for your phone with practically very little effort involved in returning it. The recycling firm will send you an envelope that is bulky and sufficient to fit your old unwanted smartphone – and it will do this free of charge. Moreover, posting to the recycle firm is paid up front too. The cost of packaging and posting is recovered by the firm when it gives you a low value for your smartphone. Take a Samsung Galaxy S5 smartphone and if you want to recycle this through a leading firm it will get you a paltry £25 ($35). But it is the smart way of getting something back for your phone. There are a number of things you must do before returning your smartphone to a recycling firm: delete all your browsing history, log out of any email accounts or social media sites and make a back-up of all the contacts on your address book. To transfer your address-book you can send it into a cloud storage account or similar. Make sure you take out the SIM card plus any extra storage SD cards too.